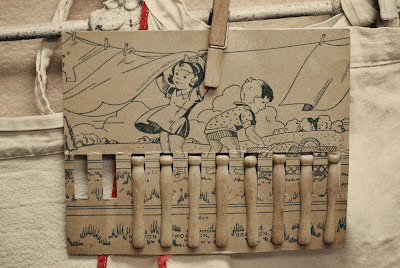 Junkle Bells Raw Materials-Clothespins- - Jill Ruth & Co. I have acquired quite a few clothespins.... the older and darker they are the better! I really like both kinds, the slip on ones and the clip on ones. I have a small collection of clothespin bags and aprons. This one is full of clip clothespins. 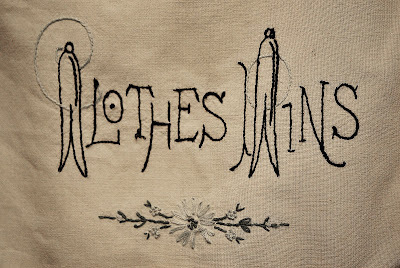 The embroidery on this apron just makes my day! 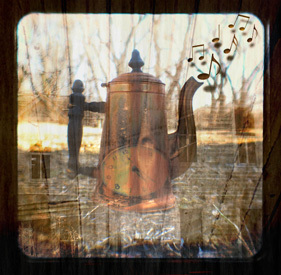 This one is quite old and tattered (who cares?) and is made from bark cloth. 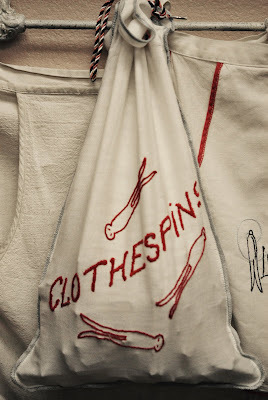 So, clothespins are my starting point for my Junkle Bells project this month. You can read more about my monthly Junkle Bells party here. Hope you can join me on Monday! Have a great weekend. 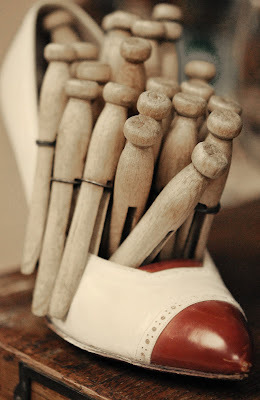 I'm off to do laundry....however, the clothespins will stay in the sewing room! 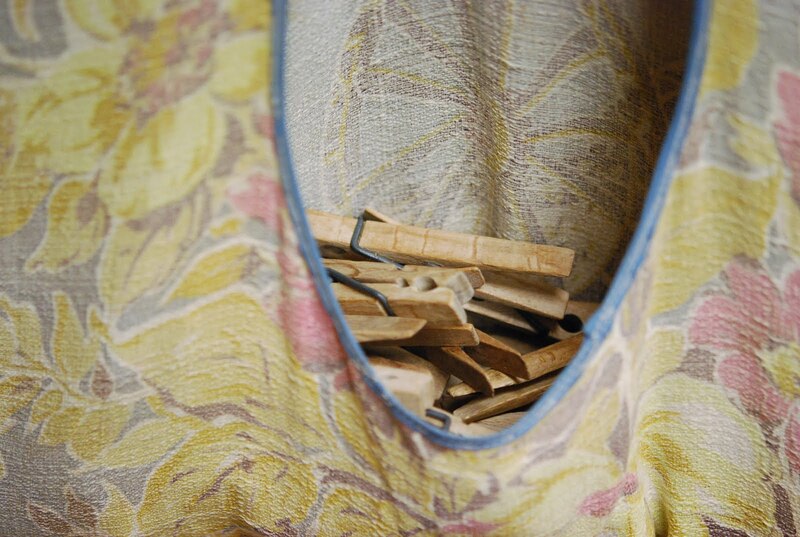 I love all your clothespin bags (anything with barkcloth!) and all the wonderful, weathered pins. I bought a little vintage box of doll clothespins recently. I love it. Love the clothespins, but girl, that fabulous spectator shoe is making me crazy! 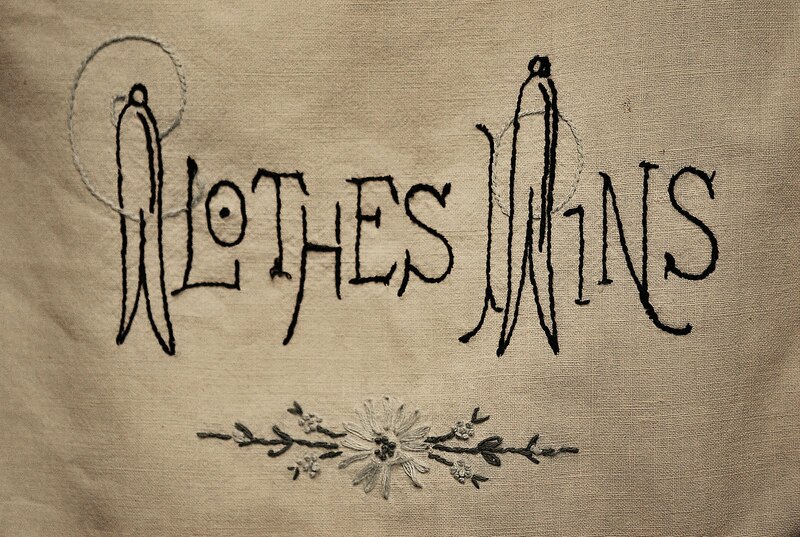 I've been pining for a clothes pin bag -- thanks for the reminder! ;) Your blog is super cute, btw... I love the linen background. I have a collection of old clothespin bags, I'll have to take some pictures and post them on my blog.